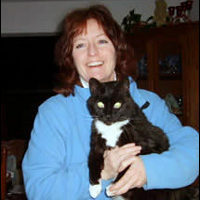 Dorothy Scanlan is a SARA Practitioner Teacher who offers treatments for both humans and animals. 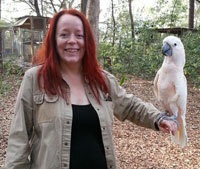 She is also a Reiki teacher for humans and a Reiki student of animals! 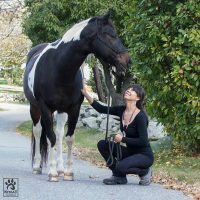 She found her true Reiki calling when she took the class, “Animal Reiki for Reiki Practitioners” with Leah D’Ambrosio. 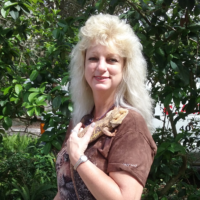 She then was fortunate enough to be able to take Kathleen Prasad’s “ Shinpiden and Animal Reiki Teacher Training” at the CARE Foundation in Florida in February 2013. Dorothy has since studied Shinpiden with Frans Stiene of the International House of Reiki. In addition to offering Reiki, she assists with spay/neuter transport and care & fostering of cats at the Humane Society of Carroll County. 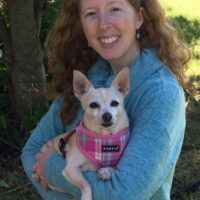 Dorothy has had an affinity for animals for as long as she can remember, so she feels blessed that she can connect with animals through Reiki. She also feels blessed for the stability that the practice of Reiki has brought to her life. To that end she donates a percent of her income to animal welfare and conservation organizations. She lives with her husband, seven cats, two dogs, and dozen or so koi in Westminster, MD.